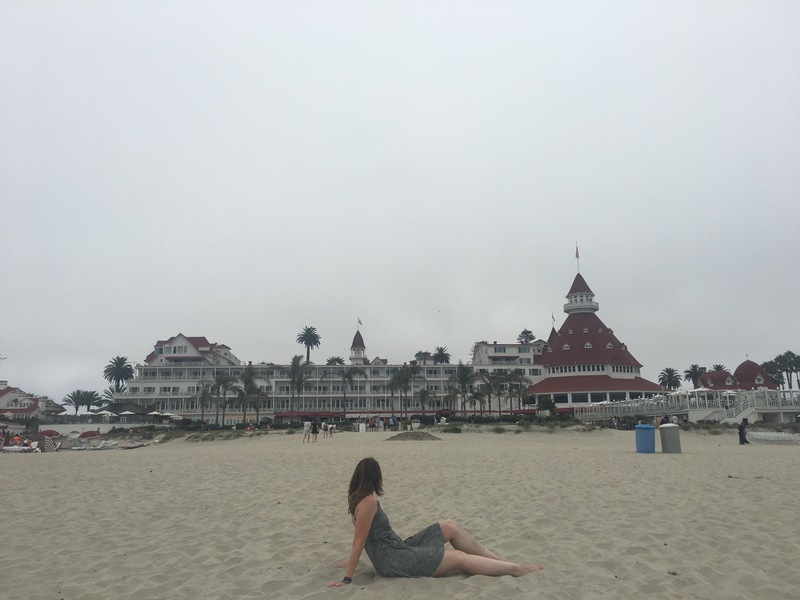 After our stint in Anaheim, we hopped in our little rental car and drove south to San Diego. 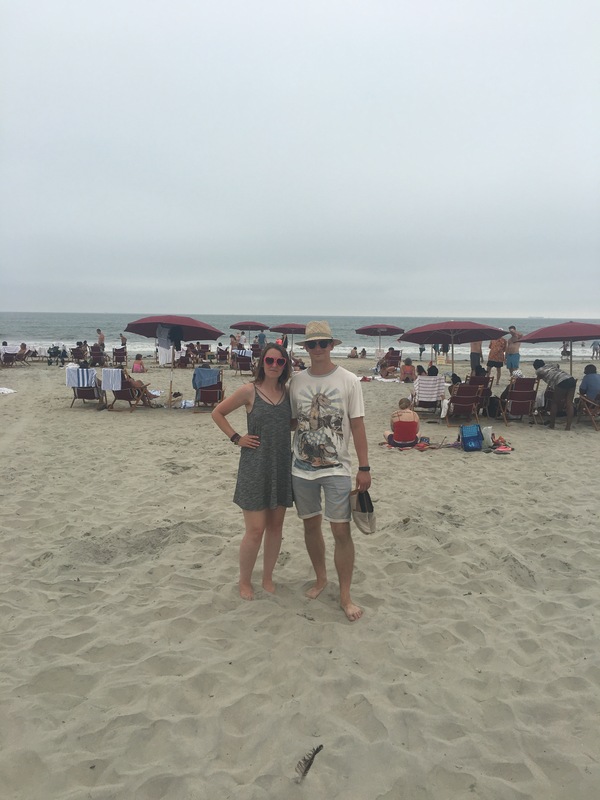 It was our first time in San Diego and I was so excited to explore pastures new. 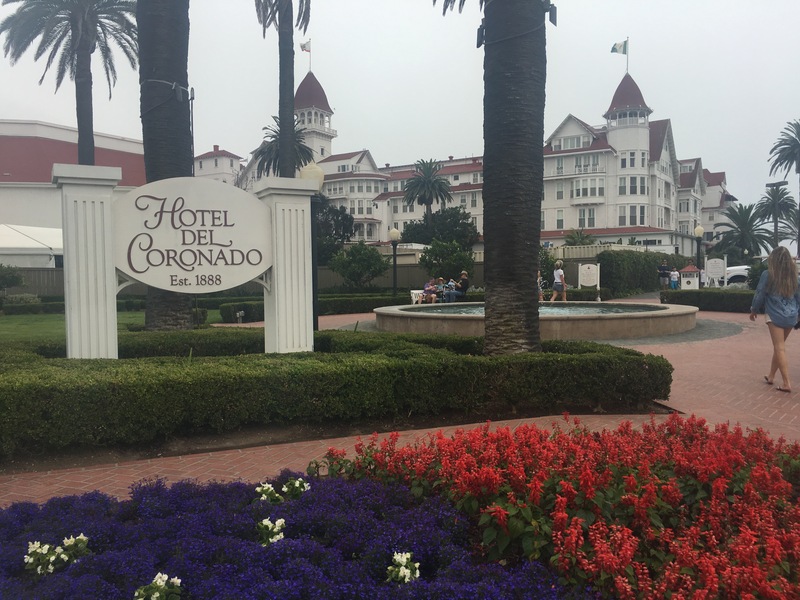 I love visiting new places and we had been recommended Coronado as a nice place to visit. 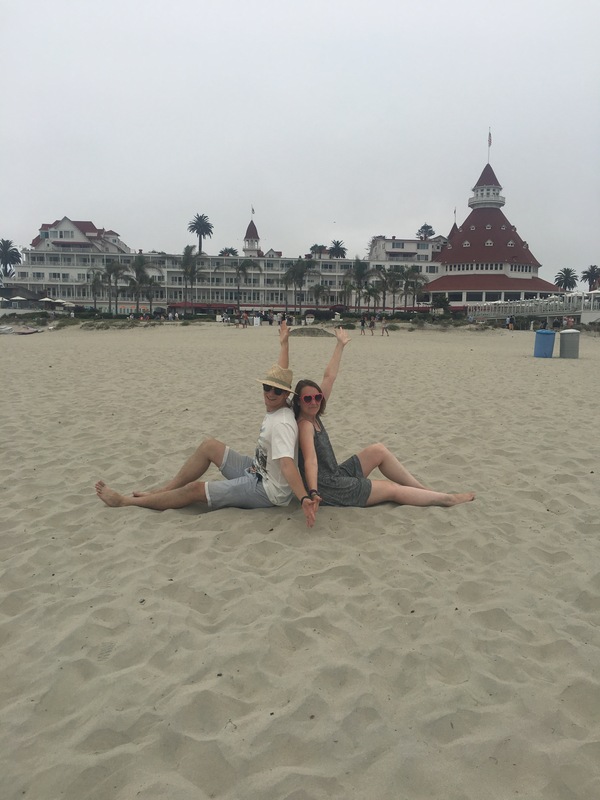 We were actually staying in Chula Vista, but Coronado was only a fifteen minute drive across the longest bridge known to man. It was a bit cloudy when we arrived, but beautifully warm. 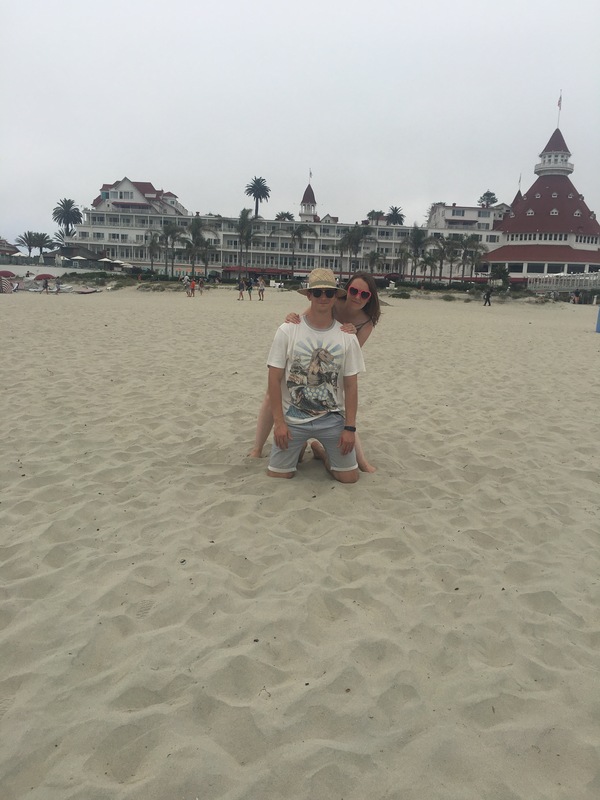 We parked in an expensive car park ($20 for two hours 😳) and took a short walk to the infamous Coronado Hotel and beach. The sand was some of the softest sand I have ever stepped on and such a treat. Honestly that beach is terribly divine. The views are lush too. There’s also a little beach bar near the hotel where you can grab a cheeky cocktail and it’s just a lovely place. We also had a look around the shops and I picked up a couple of things and fell in love with the cutest little shop called Seaside Papery. They do beautiful prints and little things. 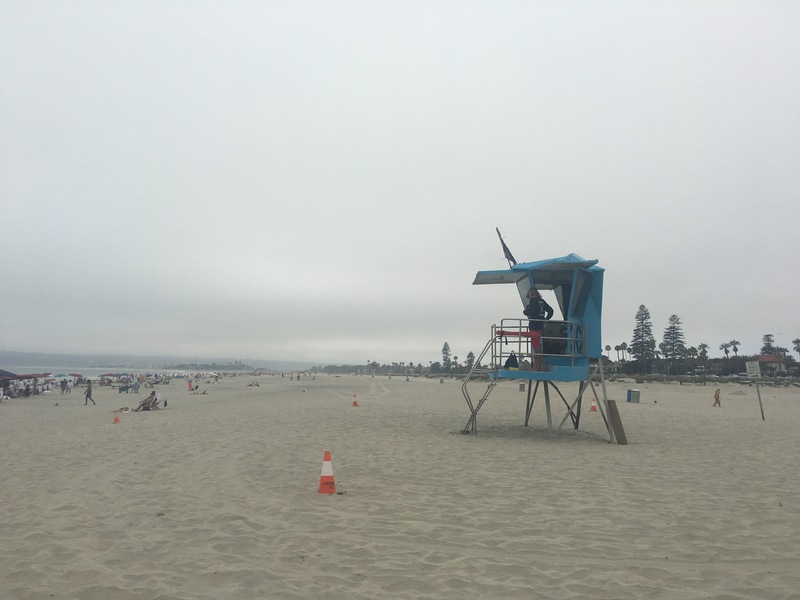 Coronado is super lush and definitely worth a visit. We had such a nice afternoon there.